These all natural and organic child products were created out of concern that other "natural" and "organic" products still contained artificial ingredients. 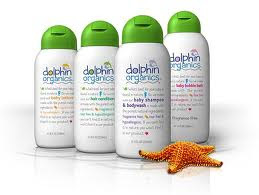 Dolphin Organics contains NO artificial ingredients! I love that the packaging is also made from recycled materials as well. If you are going for a lifestyle with only Natural and Organic ingredients, then Dolphin Organics is the way to go for your kids. I can't wait to try the shampoo/ body wash on my kids. Go to their website to do some shopping and enter code ECOBABY at checkout. You will receive 15% off your 1st order. That code is good until 11/30/11 so you have some time, but don't wait too long. 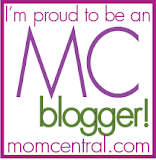 Hey girly, I haven't been on your blog in a few weeks! It looks LOVELY!